There has been so much going on at the San Diego Comic-con. There have been TV series announcements and movie announcements left, right and centre. 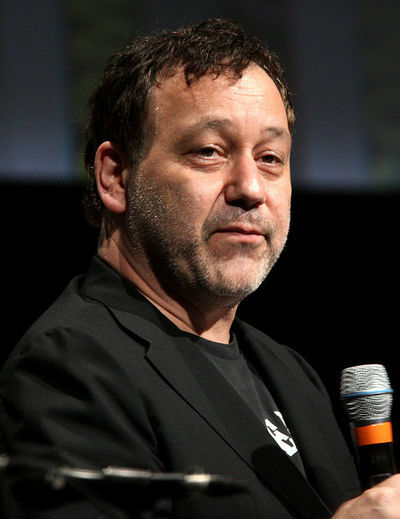 Sam Raimi was on-hand and talked about his movie adaptation of the zombie video game The last of Us. Raimi also revealed that he is currently writing an Evil Dead TV show with the help of the former Evil Dead star, Bruce Campbell. Campbell later announced on twitter that he is likely to star in the series. Yes, between zombies and vampires, there are a lot of shows about the undead, but few take on the comedic aspect that was seen in the Evil Dead and Army of Darkness movies. What’s your opinion, would you watch? It doesn't come as a surprise. Horror is not my cup of tea, but I know the movies are popular. Not sure about the timing, however. I am starting to get fed up bout hearing so many zombie themed things. I actually think this will be a breath of fresh air in terms of undead shows. The Evil Dead movie series had the occasional zombie but more often the movies featured claymation skeletons. I am under the impression that Evil Dead and Evil Dead 2 were meant to be true horror movies but fell short, being considered comedies as much as horror. Then with the third movie, Army of Darkness, they just embraced what the movies really were. I think this could be something really good in a genre that is full of The Walking Dead copies. If they are offering something different, that will be good. This is my teenage daughter's favorite movie! So yes, it would be on in our house. No I would definitely not watch!